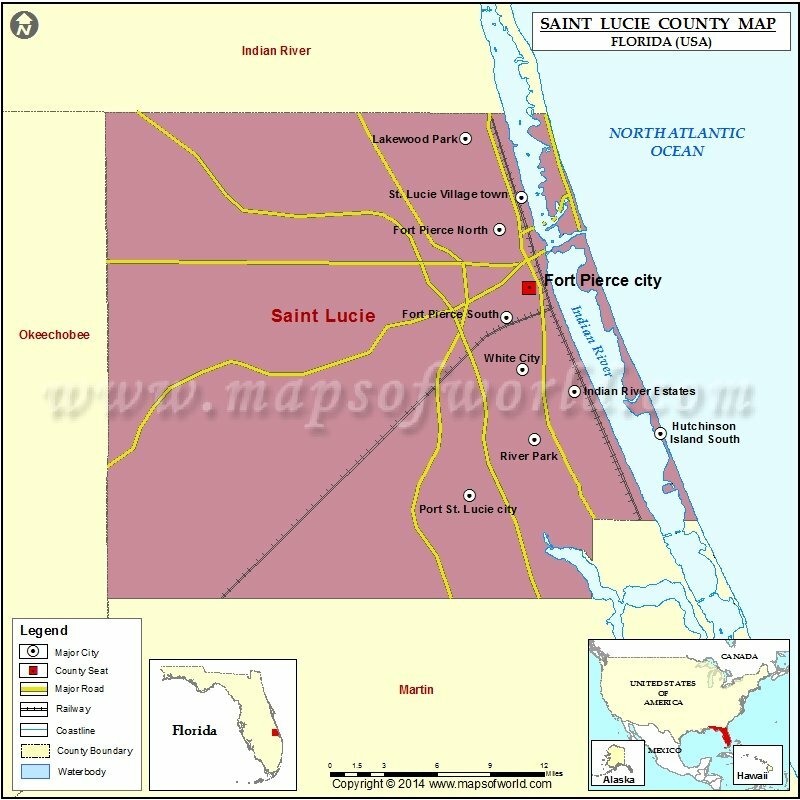 St. Lucie County located in the Treasure Coast region in Florida. Fort Pierce, also known as the Sunrise City, is the seat of the county. As of the 2015 census, St. Lucie County has a population of 298,563. The county comprises an area of 688 square miles. Indian River, Martin, and Okeechobee are the adjacent counties of St. Lucie. St. Lucie County Aquarium, Heathcote Botanical Gardens, and Old Fort Park are prominent attractions in the county. Interstate 95 is a major highway in the region.